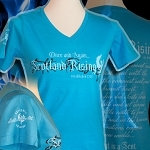 Blue Phoenix Short Sleeve T Now in a Ladies V-Neck T. Double needle stitching on sleeve and bottom hem. 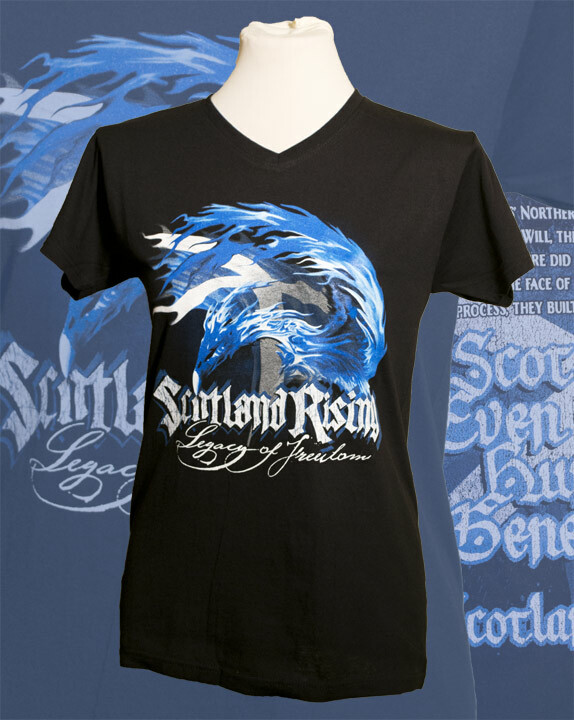 Classic silhouette is fashion cut for women. 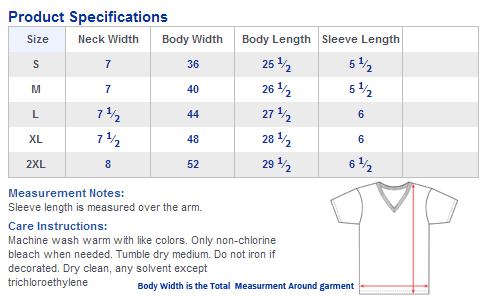 ½" rib v-neck collar. 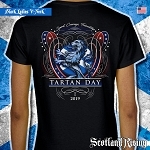 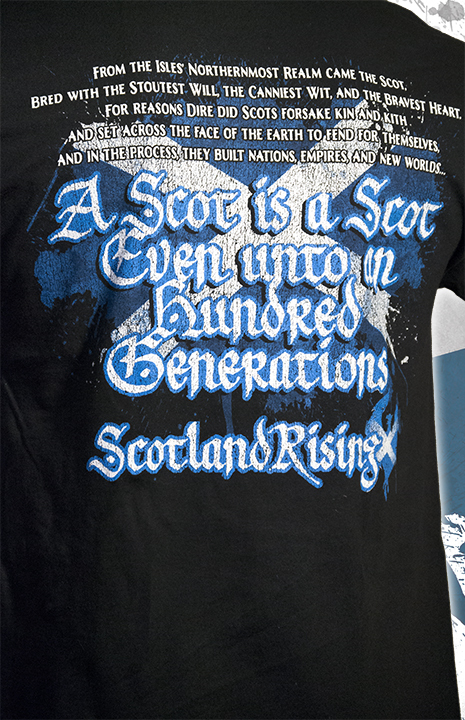 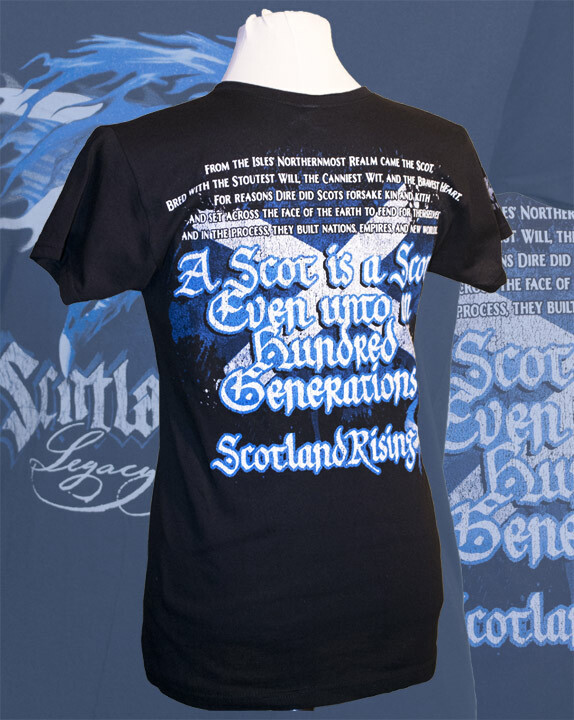 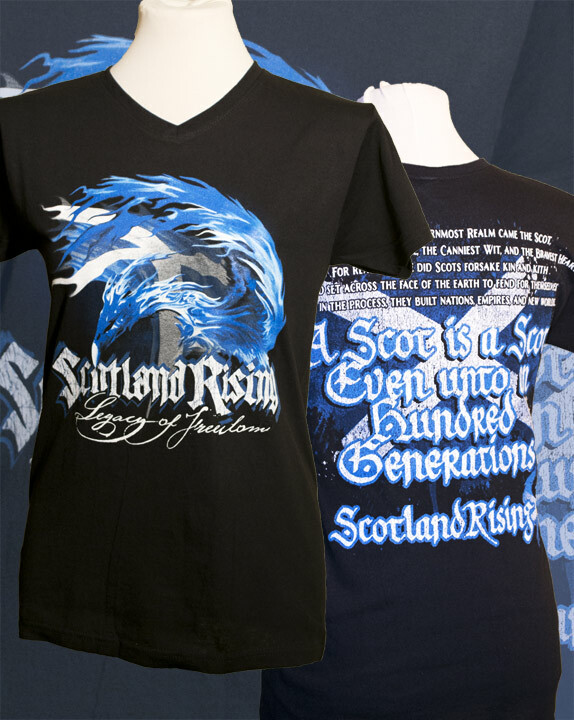 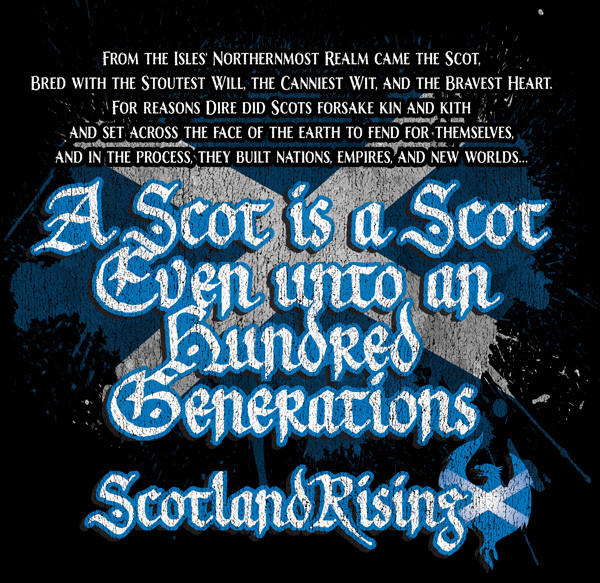 Available in sizes S-2XL Featuring a blue phoenix swirled in blue flames and the Scottish saltire. 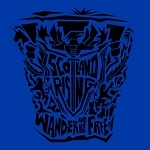 Rise up and be free. 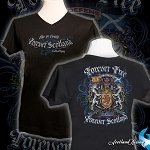 The tag line "Legacy of Freedom" is a tribute to the first concepts of modern Freedom.